In the UK, there is one charity that is dedicated to reducing online casino gaming-related harm. GambleAware has recently launched a request to tender for the assessment of the effect of casino self-exclusion systems along with awareness and hurdles to such self-exclusion. Tenders must be issued by early June 2018. The UK’s Responsible Gambling Strategy Board has further distributed a brief that lays down the procedure context, the need for research, how the information should be used and the questions that will be addressed. Even though this is a UK charity, the findings and recommendations apply to New Zealand players too – and many reputable NZ online casinos follow the UK model when it comes to protecting their players. What Is Self-Exclusion in the World of Online Casino Gaming? Self-exclusion is a service that every online casino operator in the UK is required to offer. It allows players to request that the operator take the responsible steps to prevent him or her from playing at the online casino for a period of time, usually up to a maximum of six months. The operators are also expected to stop sending the player relevant marketing materials unless players opt to receive them again at the end of the self-exclusion period. It is widely accepted that self-exclusion has an important role to play as a harm minimisation tool for players who realise that they have a gambling problem. The requirement for online casino operators to put into effect the necessary measures for self-exclusion and to take the relevant steps to either deny service or otherwise stop a player who’s entered a self-exclusion agreement from playing casino games have already been included in the Gambling Commission’s Licence Conditions and Codes of Practice. Until April 2016, if an individual wished to self-exclude him or herself completely from online casino gaming, they were required to do so with each casino operator they were signed up with. The ease with which players could keep gaming at other operators was subjected to a great deal of criticism and was highlighted in GambleAware’s research in terms of both online and land-based casino gaming. According to the charity, the research suggested that it find compelling defence for continuing to research prospects for connecting self-exclusion across the board. In GambleAware’s view, this represents a significant priority for solidifying self-exclusion along with harm minimisation on a more generalised scale. Following a public consultation in April 2016, the Commission have required all non-remote casino operators to participate in multi-operator self-exclusion schemes, while also offering their own individual schemes. These multi-operator schemes were designed and managed by the casino industry and aim to let customers exclude from multiple operators with just one request. Some of the current schemes include the Self-Enrolment National Self-Exclusion Scheme and the Multi Operator Self Exclusion Scheme for Betting Shops. 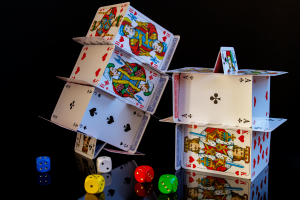 With the self-exclusions schemes in place, it seems that the online casino gaming industry continues to try and tick as many boxes as possible to ensure problem casino gamers are able to cut themselves off from the multitude of gaming opportunities. So, whether you prefer the thrill of the pokies, a hand of blackjack or the bluff of poker, if you feel that your gaming is getting out of hand, there are both solutions and help at hand. Previous Post: « Why Do New Online Casino Sites Come Out Tops?